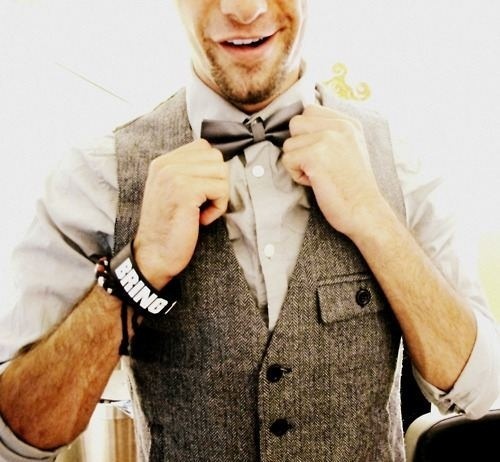 Are you trying to pull off a formal outfit idea with the bow tie but don’t know how? Well here are some ways and ideas you can use to pull off that classic, snazzy look with the bow tie. Use dark pants, a dark gray tuxedo jacket, a white dress shirt, a pocket square, and a simple dark bow tie to achieve the classic, dark-edge look. Pull off a classy brown tuxedo outfit wear with a dark green/tan bow tie, blue checkered dress shirt, tan/brown vest, and a brown jacket. 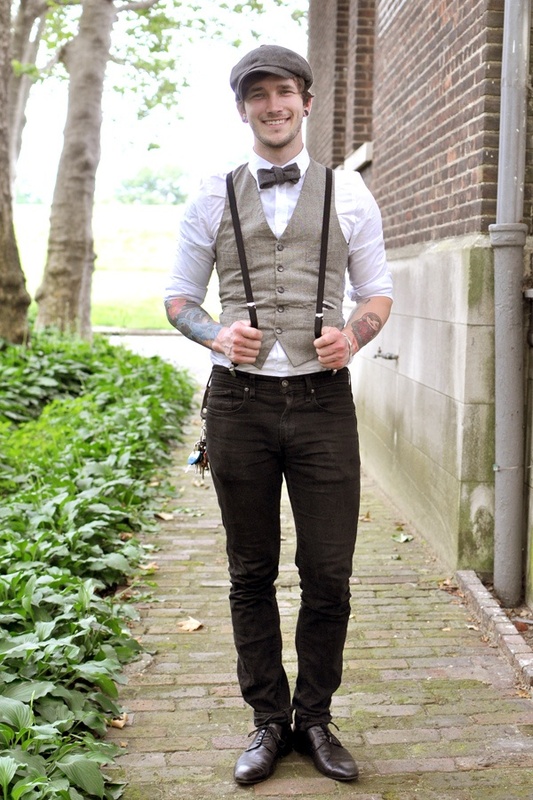 Go for another classy look with suspenders, dark pants and shoes, white dress shirt, a bowtie and a vest. Try to make the colors of the pants, suspenders, and bow tie match to achieve great color coordination. 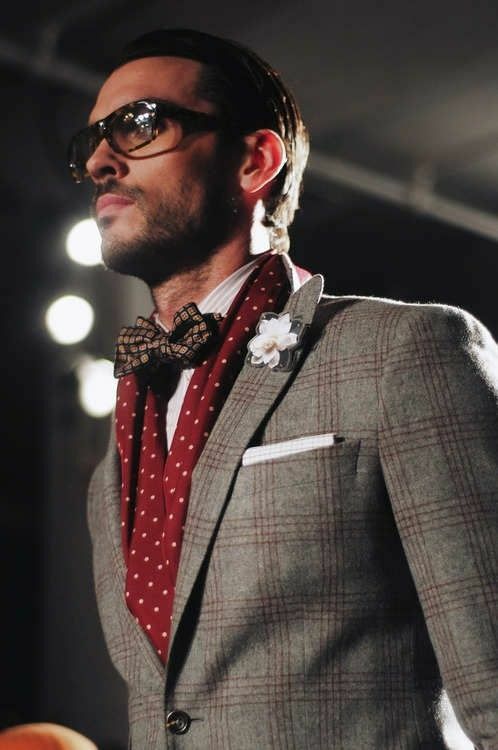 A nice snazzy, butler-look will get you far with a nice printed tuxedo jacket, red with small white polka dot scarf, dress shirt, and a brown bow tie that semi-matches with the jacket. Top it all off with some smart-looking glasses, and you’ll have girls taking a second look at you. A nice business-style looking outfit idea with dark pants, a dark tuxedo jacket, brown shoes, simple plain dress shirt, and a red bow tie. 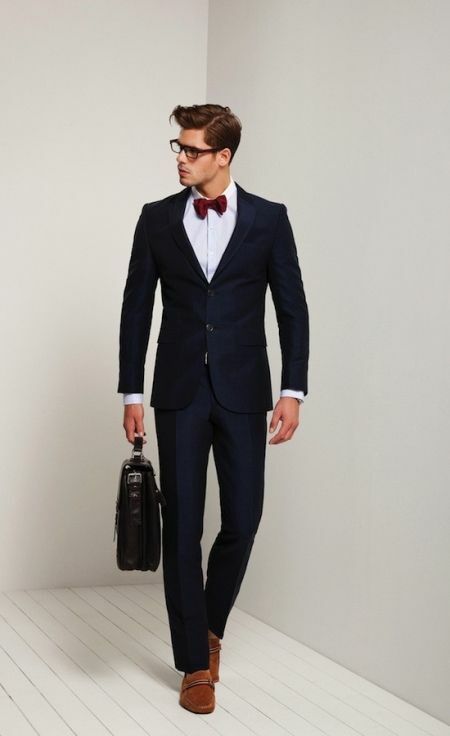 The red bow tie can also go great with navy blue pants and navy blue jacket. Top it all off with nerdy glasses and a briefcase and you’ll look like Superman! Another hipster-looking, classy outfit wear. 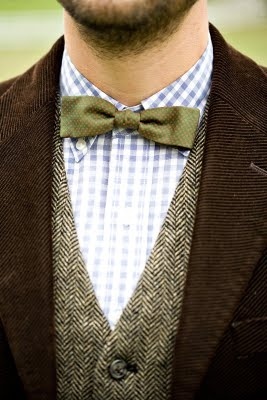 Go for this style by sporting a light brown/tan dress shirt with sleeves halfway up, a brown vest, and a brown bow tie.